This is a .925 sterling silver Snake Chain Name Necklace. 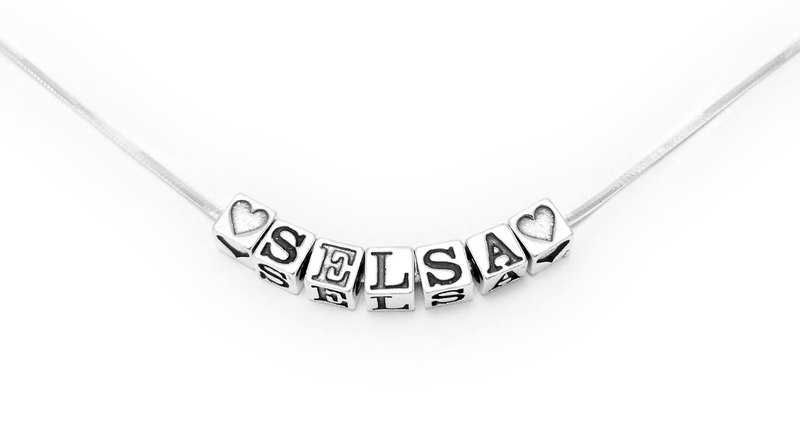 The sterling silver alphabet block letters are 4.5mm. The snake necklace starts at $29 for one block letter. 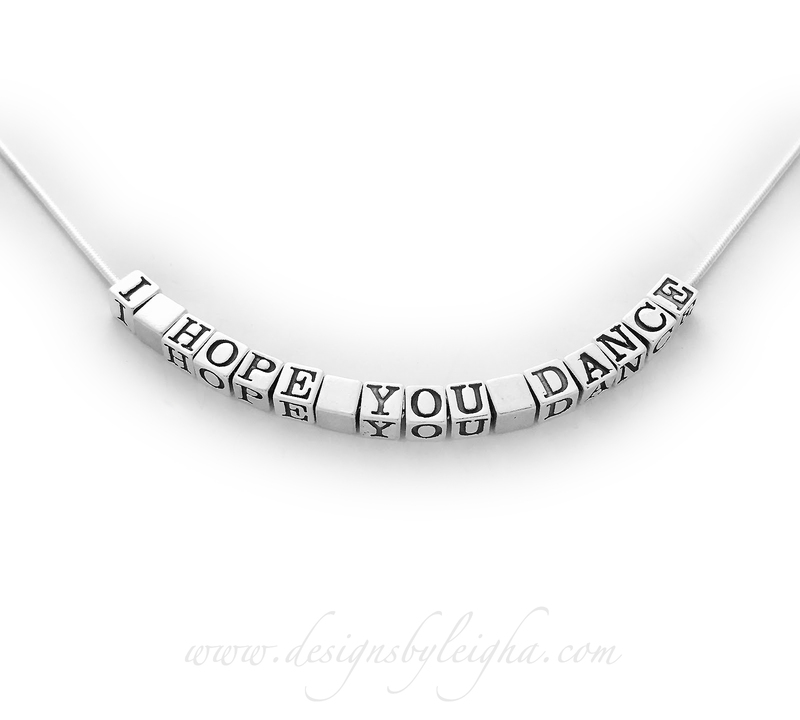 This I HOPE YOU DANCE Necklace is shown has 13 blocks and 3 free spacers between the words and is $77. You choose the number of letters, numbers and symbols during the ordering process. The sterling silver necklace chains comes in several lengths. You can put names, inititlas or a saying on this design. I will put free spacers in between words or monograms with 3 or more characters. *You may add additional names at any time, in the future. 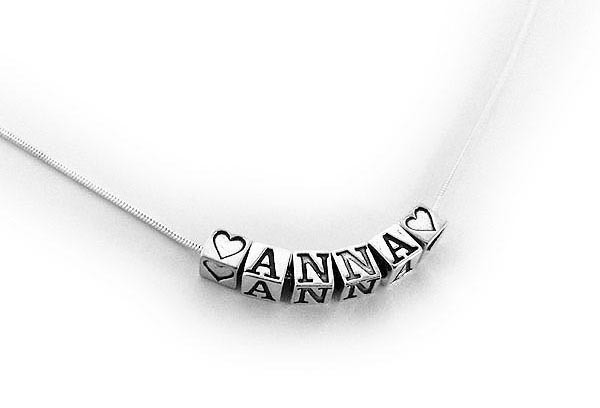 Just buy the letters (and spacers) and slip them onto the necklace.